Well, that was nice. 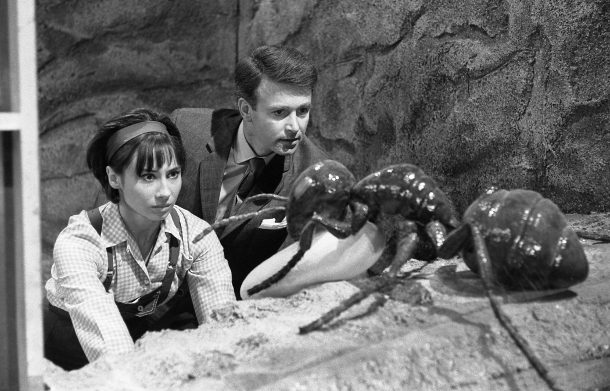 I can safely say that Planet of Giants is one of those serials I wouldn’t mind watching several times. It was well paced (especially towards the end) and it gave us a plot that other shows wouldn’t have been able to pull off, not even nowadays. I found the story extremely innovative: can you imagine what that would have looked like for 1964’s viewers? I still find it impressive from a 2015 perspective: the sets, the “special effects”, that moving fly! But it left me wondering: did they base Honey, I Shrunk the Kids on this serial? Because after watching Planet of Giants, it really looks like a rip-off. To make it short: the Doctor and his companions land in a strange “planet” that turns out to be the backyard of a house, because the TARDIS has shrunk with them inside. They discover a plot going on about an insecticide called DN6, nothing important, except for the part when Barbara touches it and basically starts dying. Then they go back to normal size and Barbara lives. The end. Although I must say I found shocking how long it took Ian to realise what was going on. Planet of Giants really makes an effort to show that this is a new season – I mean just look at Ian, so dapper in that suit and that pocket handkerchief! Although my hopes of having an episode where Susan doesn’t yell were instantly crushed. Someone should have told her to stop screaming so much. In fact, I kept tally every time I found myself telling that to the screen, and the final number was eleven. Even though I was highly entertained by the story, there was something I didn’t care about: the parts with the real-life size humans and their insecticide plot. I honestly could not be less invested in that – I closed my eyes or checked my phone whenever they appeared, because it truly looked like a bad 1940s movie. But the rest was superb. 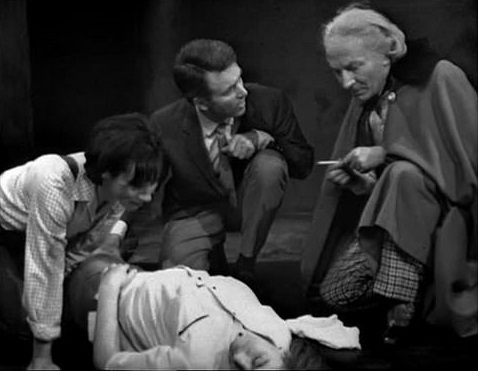 I really like it when William Hartnell does comedy bits, because otherwise he just seems to be rude to the others. That Made in Norwich thing made me laugh for some reason, as well as the scene where they start screaming on the phone. As for the cliffhangers, the one with the cat wasn’t that scary, mostly because I was thinking “that cat is so cute.” But the second cliffhanger with the sink getting emptied was quite thrilling. The music, though, felt a bit over the top and sometimes I couldn’t hear the dialogues because of it. But to be fair, if the upcoming serials are like this one, please keep it coming. Revisiting the episodes I’ve never watched is proving to be quite enjoyable, and it helps me understand more and more things. I’m sorry, I just remembered: Ian. Suit. Pocket Handkerchief. So elegant. I love that you’re watching and enjoying these!